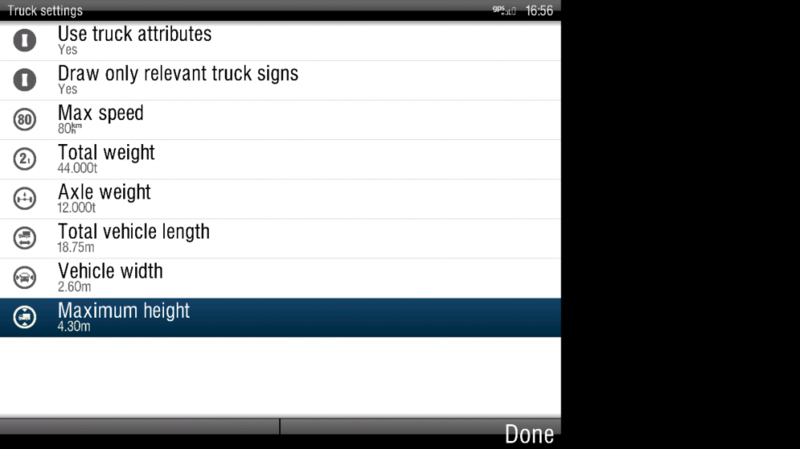 You will be prompted to set truck attributes of your vehicle at the very first time you run the navigation, either through Navigate or Routes menu. !Please take your time and set them correctly, otherwise you might be routed through streets prohibited for your vehicle. Draw only relevant truck signs – if set to Yes, only truck signs relevant to your vehicle dimensions are displayed on map. If set to No, you will also see the signs not relevant to your vehicle. 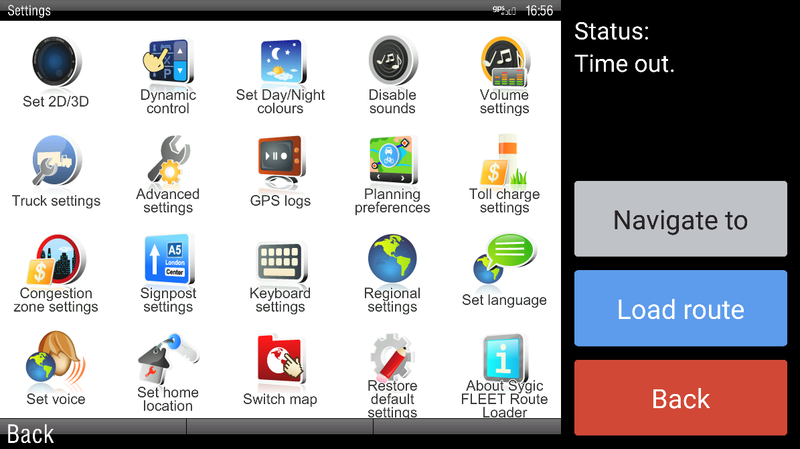 If you need to change the truck settings later, you can do so in navigation menu. 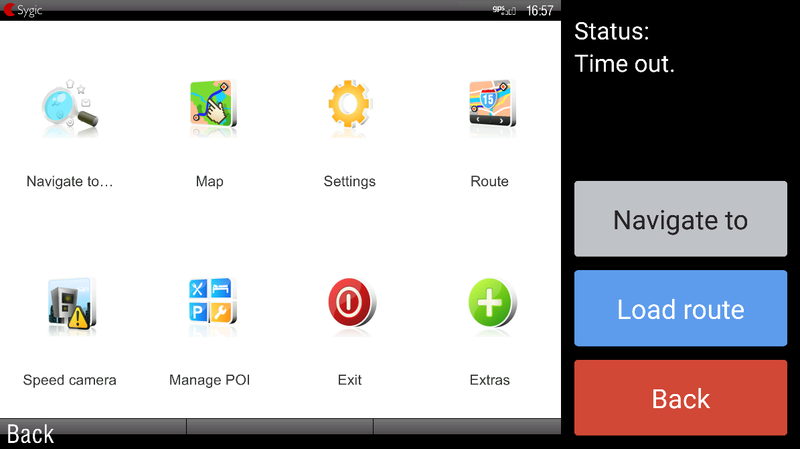 Tap the navigation screen to display the navigation menu.